Vision boards are a great way to set goals and accomplish your dreams. You’re more likely to reach your goals when you put them down on paper, so a vision board is a MUST! You can always adjust your vision board if your dreams change a little. I like to use a large magnetic board that hangs on my wall, and then I post images onto my board. This way you can see everything whenever you want. 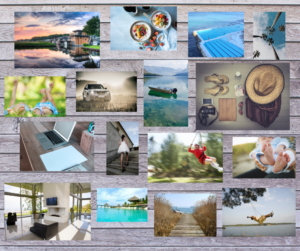 Below you will find a beautiful free vision board template. This template works great! You can fill in the spaces you want, and get your goals on paper. Then you can start building your board with fun images and pictures! If you don’t want to build a board with images, you can always post this template somewhere in your house. My Name: In this section you can simple put your name or your family’s name. Physical: Here you can put down goals you have to help you improve your body. Examples: Work out 3 times a week, sign up for a yoga class, go on a daily walk, play pickle ball once a week, eat three servings of vegetables per day, eat less meat, start drinking super foods, take a daily vitamin, etc. Mental: In this section put down anything that will help you improve your mind. Examples: Learn to meditate, See a counselor, read a book about anxiety, use essential oils for depression, etc. Spiritual: Here you can write about goals you want to accomplish relating to your spiritual or religious beliefs. Examples: Go to church once a month, pray every night, volunteer at a church event, etc. Financial: In this area you can jot down your money goals, and things relating to finance. Examples: Find a new job, ask for a raise, start an online store, save $300 a month, start a saving jar, don’t purchase coffee, etc. Stuff I Want: Here you can write down anything you really want to own. These things can be large or small. Examples: Range Rover, Self-driving car, House in FL, New TV, Pair of Michael Kors shoes, Kendra Scott bracelet, Speed boat, Lake house, etc. Things to Try: In this area write down anything you want to experience or try for the first time. Examples: Go zip lining, skydive, swim with dolphins, go snorkeling, attend a Bruno Mars concert, try sushi, fish in the ocean, etc. Dreams: Here you can put down anything big you want to achieve in your lifetime. This area is for your biggest, and most important dreams. Examples: Move to Atlanta, travel to Greece, Take a cruise to Hawaii, Own a house with an infinity pool, Own a house on a river, Move into a larger house, try out for an acting role, get a master’s degree, try to get my article published, start a business, etc. Family Life: In this area put down anything you want to accomplish with or for your family. Examples: Do 4 things as a family every month, start a family game night, spend Saturdays as a family, go to an event together each month, compliment a family member each day, have 3 kids, get a dog, etc. For the Home: Here you can write down anything that will improve your home. Examples: Build an in ground pool, get new living room furniture, get a new front door, landscape the backyard, add more wall pictures, clean the carpets once a month, hire a cleaner to come once a week, paint the walls, etc. Goals: This area is a little different. Here you can put down time frames as to when you want to accomplish certain goals. Example: Get a new house within two years, try to have one child within two years, Save up $10,000 in the next year, Move to Boston in the next 10 years, Get a new job within the next year, etc. Creating a vision board will help you achieve your life goals. You can see what you all want to accomplish, and start reaching your dreams. Laying all your ideas out will help you get things done. 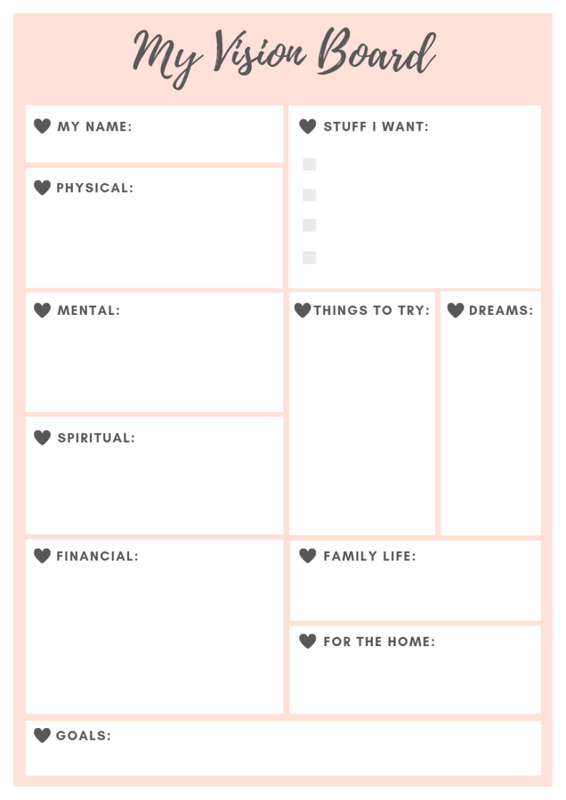 Now, use your free vision board template, get out there and create a beautiful vision board! Are you interested in fun things to do when it’s cold outside? Check out this article here! 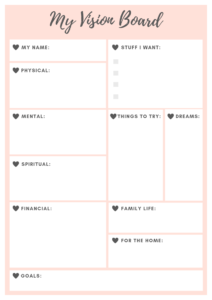 By KatyIn Lady and a BlogTagged dream board examples, dream board ideas, dream board template, free vision board ideas, free vision board template, sample vision board ideas6 Comments on Free Vision Board Template – Plus Ideas! 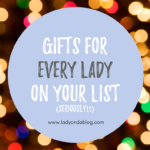 Previous Previous post: Creative Gifts for Her – She’ll LOVE these! 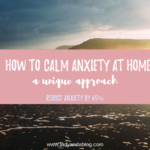 Next Next post: How to Calm Anxiety at Home – A Creative Approach! Love your vision board thank you , I have to write things down to sort of clear my head , I guess I am a list guy according to my kids lol , I end up with a bunch of post it notes all over home office and with this Vision board template i will be able to scale down on my sticky notes and be able to better organize my ambitions . I hope this vision board helps you accomplish your life goals! I think vision boards are a fantastic idea! Thank you for sharing the template as well. I really need a guide to help me with focusing and deciding what I want to achieve for the next year. The examples for each category were really helpful too. I can’t wait to create my vision board! Thank you, I know you can achieve all your goals in life! Hey, Katy! It’s great that I saw your template board for organizing everyday life. What a fine fellow you are, that you set out examples of goals and deadlines. It just remains to imitate your organization. Without any constraint. I decided to make two table boards for two different areas of my life. I will place one above the desktop and computer. This will be related to the specifics of my intellectual employment. And the second in the garage workshop, where I focus my economic tasks and tools. On the first one I will add more pockets for a list of books and opinions. It is convenient and should be close. Katy, thank you so much for your hard work. I will distribute this useful article. Mark. So glad I could help! That is such a great idea to complete different boards for different areas.